It’s that glorious time of the year where we gain another hour of sleep. 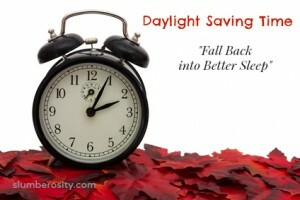 We will change our clocks once again to “fall back” into longer night and shorter days. Many of us struggle with the time change whether it’s during the fall or spring season. And it can be especially difficult for children. They are much more sensitive to the change in time than us adults. For most children, it’s important to help ease them into the new time change. You can do that you several different ways. Thank goodness we can prepare for the time shift. The easiest way to help your baby/child adjust to the time change is by gradually moving their naps and bedtimes by 15 mins later each day. This way gives you 3 days to make the shift to the “new” time. You baby naps at 9:00 and 1 pm each day and goes down at night at 6:30 pm. Begin shifting your child’s schedule by 15 mins on Wednesday morning. Instead of putting your baby down at 9:00 am and 1 pm, you would put them down at 9:15 am and 1:15 am. Each day adjusting 15 mins. By making these gradual shifts in their schedule, this will ensure that they have time to adjust to the new time change. I have found that very few children are not affected by the time change. But for those who aren’t, simply shift to the new time as once it happens. How will you help your child “fall back” into the new time change this fall? I always just went cold turkey on daylight savings time. My kids may have had a little trouble adjusting but it doesn’t take long to get used to it. these are good tips for people would struggle with this. Usually, I’m a poor planner and go cold turkey. Then every year I say I need to gradually do it! my kids don’t seem to be bothered by the time shift in the mornings. It’s bedtime that I get questioned.